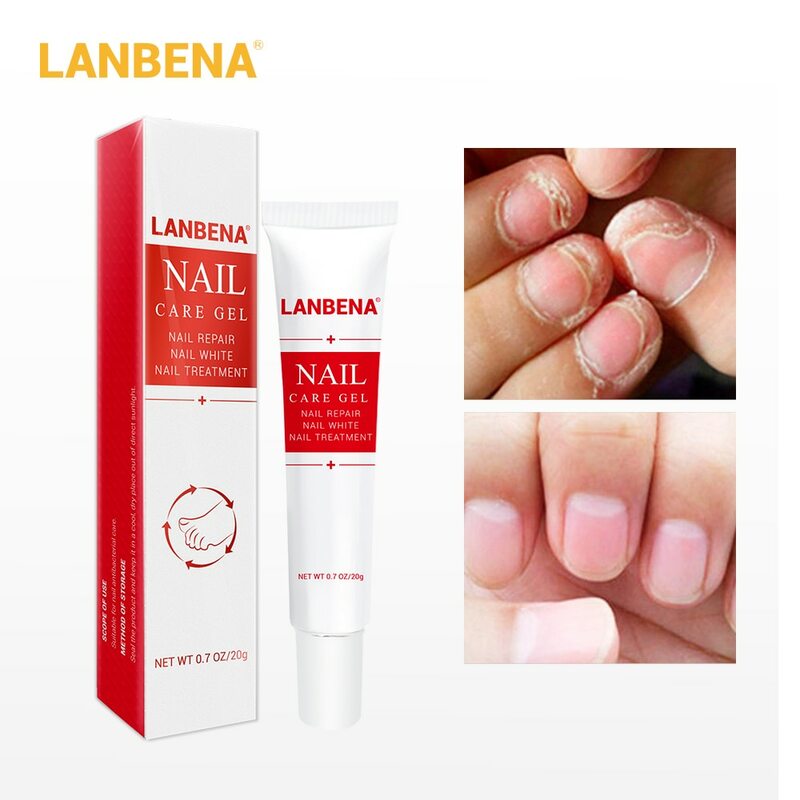 LANBENA NAIL CARE GEL adopts a molecular needle penetration technique and a brand-new formula to solve the problem of effective ingredients being unable to penetrate the nails. It can be used to fix all kinds of nail problems, soften the texture of your nails and restore their health. Application method: we recommend using it once in the morning and once in the evening. 1. Soak the nails in warm water to soften them, thin them with a nail file, remove loose, hollow and thickened parts,and wipe off dirt and debris (do not use excessive force so as to avoid damaging the nail bed). 2. Smear LANBENA NAIL CARE GEL on the nail, seal with plastic wrap or plastic film, then apply an adhesive plaster or band-aid. Replace every two days. 3. For stubborn nails or those with a longer formation time, use in conjunction with 1-2 drops of NAIL REPAIR ESSECE daily until new nails grow. 1. In the process of growing new nails, avoid making contact with gasoline, washing powder, chalk or other stimulating substances as far as possible. 2. Stop using if your nails change shape. 3. Please store the product in an environment below 38 ℃. 4. This is a product for external use. Please store out of reach of children. Storage: seal the product and keep it in a cool, dry place out of direct sunlight.